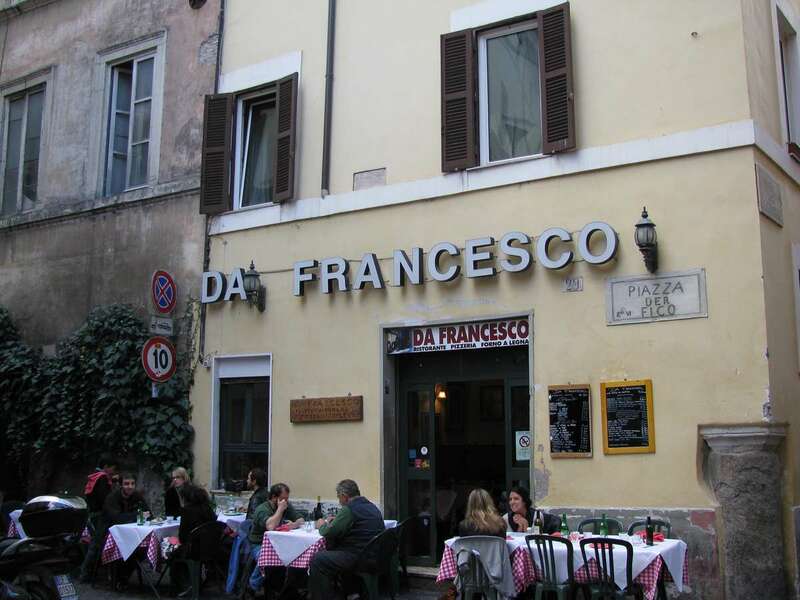 We hate to use the term, but Da Francesco is really a ‘must-visit’ when in Rome. The place has no www and the tourists aren’t aware. It’s packed every night, but it’s mostly locals. This fine Italian restaurant is situated at the tiny square Piazza del Fico, only a minute walk away from crowded Piazza Navona. Therefore a true ‘hidden gem’ (jeez, another of these cliche travel terms). Why go here? Well, first and foremost because of the divine Italian food on the menu. And no, being in Rome doesn’t mean you’ll be served the best pasta’s and pizza’s around every corner. Truthfully, it’s actually quite challenging to find a restaurant with friendly staff and good Italian food that isn’t overprized. Da Francesco serves amazing Italian food, is reasonably prized and the staff is having fun and laughing all evening while working extremely hard. Yes, they will even just look you into your eyes while they’re taking your order. No grumpy waiters (sick of all the tourists) at this place! Tried and recommended: spaghetti carbonara.